Home » It’s time for the 2019 Iron Bartender Competition!! It’s time for the 2019 Iron Bartender Competition!! 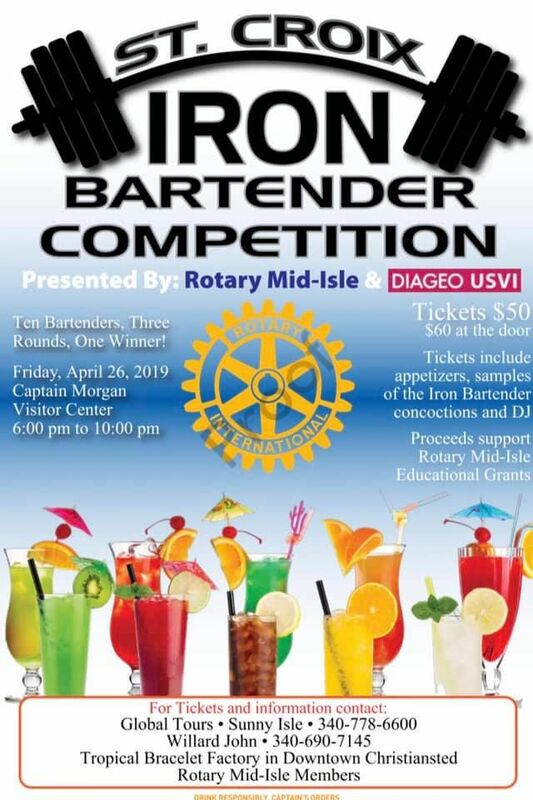 Watch as 10 of St. Croix‘s best bartenders compete for the title of Iron Bartender. Come enjoy signature drinks made by these mixologists, vote for your favorites to advance and determine who will be the people’s choice winner. Amazing food by the talented Chef Saerah Meehan of Misfit Island Munchies. $50 in advance $60 at the door!